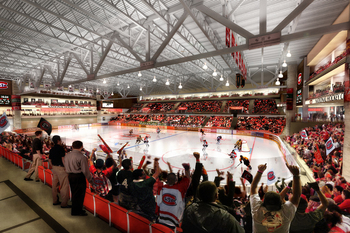 The NHC is a multi-purpose facility featuring two Olympic size sheets of ice under one roof. Overall the facility measures 138,000 square feet with each sheet of ice measuring 200×100 feet. Our services included 30,000 square feet of 8” and 12” hollowcore plank.